The documents, based on which details of alleged misdoings in the purchase of 36 Rafale fighter jets from France were published by newspapers, were stolen from the Ministry of Defence either by current or former employees of the ministry, the central government told the Supreme Court on Wednesday. As these documents pertain to defence deals and are covered under the Official Secrets Act, the government is planning to take “criminal action” against the newspapers which published the stories and the petitioner who used it in his petition, Attorney General (AG) K K Venugopal told the court. Since the stories and petitions included top secret defence documents which were stolen, the top court should dismiss the review petitions, AG Venugopal said. The three-judge bench led by Chief Justice Ranjan Gogoi, however, rejected this line of argument and sought to know that even if these documents were stolen but proved the point the petitioner was trying to raise, whether the court should consider it or not. It also sought to know if the central government could hide behind the argument of national security when there was a case of corruption. “If there is a question of corruption, can anyone take shelter under the argument of national security?” Justice K M Joseph asked AG Venugopal. The court also sought to know from the government as to what action it had taken so far, if indeed the documents related to the fighter aircraft deal had been stolen from the defence ministry. Responding to the court’s query, AG Venugopal said that an investigation was underway to determine the exact source of the theft. A First Information Report (FIR), however, had not yet been registered, he said. The bench led by Chief Justice Ranjan Gogoi was hearing a bunch of petitions seeking review of the court’s judgment dismissing probe into the purchase of Rafale fighter jets. The review petition has been moved by former Union Minister Yashwant Sinha and Arun Shourie, as well as Senior Advocate Prashant Bhushan, among others. 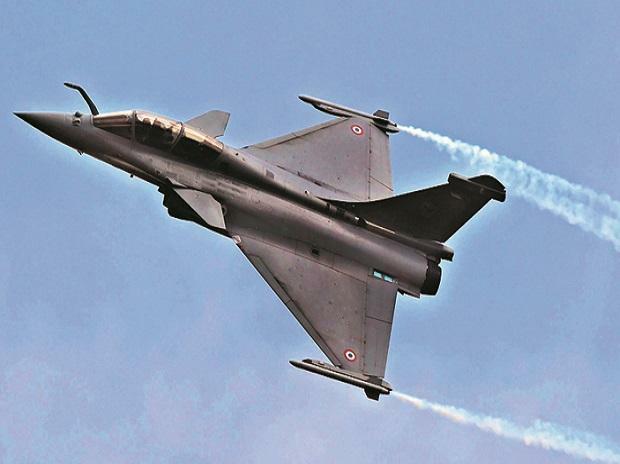 On December 14, the top court had dismissed all pleas seeking a court monitored probe into the purchase of 36 Rafale fighter aircraft from France. The top court had then said it had found “no occasion to doubt the (decision-making) process” and thus would not interfere. “We find no reason for any intervention by this Court on the sensitive issue of purchase of 36 defence aircraft by the Indian Government. Perception of individuals cannot be the basis of fishing and roving enquiry by this Court, especially in such matters," the top court had then said. In their review petition moved before the top court, Sinha, Shourie and Bhushan have alleged that the government had suppressed crucial facts related to the fighter aircraft deal and hence mislead the court. They had alleged that the court had relied on “patently incorrect” claims made by Centre in the note it had submitted to the top court while it was hearing the original petition. Objecting to the government’s plea that ordering a probe into the fighter aircraft deal would undermine the national security of the country and did not warrant the court’s interference, Bhushan said that the proposition was astounding. “It is an astounding proposition being made that in the case of a defence deal the courts must not interfere. If an allegation of corruption is made, then it is duty of investigation agency to probe as per Constitution Bench judgment of this court. It is a different thing if they don't find they can file a closure report,” Bhushan told the court during the hearing on Wednesday. Bhushan also expressed shock that the Comptroller and Auditor General (CAG) of India’s report, which had been placed in the parliament, had redacted the bits which contained details about the pricing of Rafale fighter aircraft. “In every report of CAG, where a defence deal has been audited, all pricing details are given. For the first time in history of CAG, at the insistence of the government, the price details have been redacted,” Bhushan said. The court will next hear the matter on March 14.